I’ve never really been a big fan of the game “tug of war”. While I never really cared for it as a child, my current sentiments towards it is the result of a picture I saw of a man whose arm came off during the course of a game. I realize people need to take sports seriously, but I’m not willing to lose an appendage in order to drag a bunch of strangers into a mud pit in the name of team building. 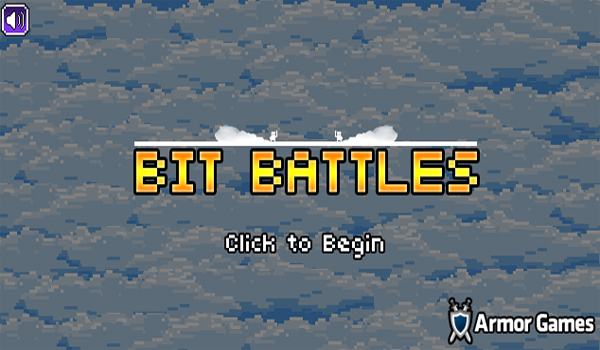 In seeking alternatives, I stumbled across Bit Battles, a game where shoving your opponents is the key to victory. 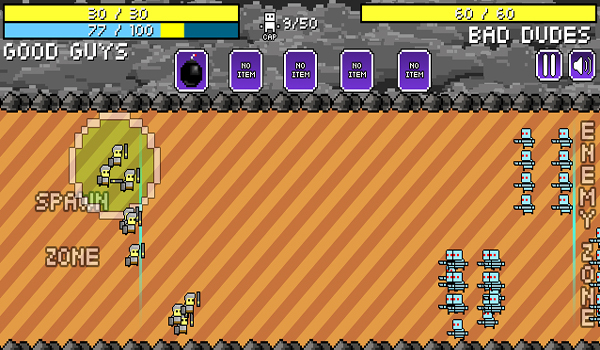 In Bit Battles, you are tasked with spawning troops (mages, spearmen or swordsmen) on a battlefield and rushing towards your enemy. As opposed to killing the opposition, your goal is to push your way through them, forcing them back into their own territory and damaging their overall health bar. Each of the three unit types excels at certain skills and all of them have special powers that are activated when you click on them. It’s a fun, but deceptively challenging game as the timing and frequency of spawning troops and using powers is extremely important. While I had fun playing the game in the digital realm, I’m convinced this is not the tug of war alternative I’m looking for. Where as rope burn is definitely a bad thing, tramplings, stabbings and traumatic head injuries appear to be all too common in Bit Battles. This game is why I’m nervous in big crowds, as in my mind, it will take but a simple shoving exchange for the whole group to begin a riot of epic proportions. Knowing me, I’d try to resolve the conflict peacefully and get my face smashed to jelly. No, thank you!